Calling All Tarot Deck Creators! Once a season I change the deck I use for my Tarot Forecast. If you’re not a regular reader, Magdalena Tarot makes daily predictions using astrology, numerology and Tarot daily on Instagram, Twitter, Tumblr, Facebook. The forecasts appear in a weekly format on my website and in my newsletter. I like to have permission from the artists or publishers of the decks I use to make sure everything is legitimate and respectful. It’s almost time to change decks again and I’m looking for a new deck to use. 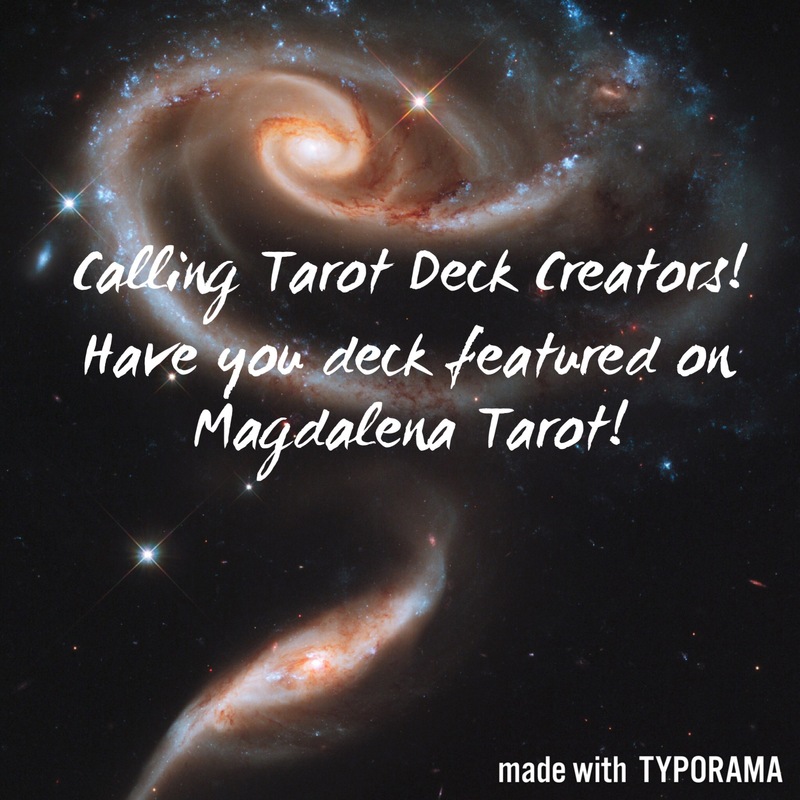 If you are the creator of a #Tarotdeck, I would love to talk to you about partnering with Magdalena Tarot. I will purchase the deck from you, do a review of it, and credit you on every post. My audience is always growing and this is your chance to have your work out there. If you’re interested, please contact me through my profile! This entry was posted in art, Astrology, dreams, mysticism, mythology, numerology, occult, self help, spirituality, Tarot, witchy, Writing and tagged art, artist, astrology, card a day, colored pencil, divination, Facebook, graphic design, inspirational, instagram, mixed media, motivational, newsletter, numerology, occult, pagan, painting, pastel, self empowerment, self help, tarot, twitter, watercolor, Website, witchy. Bookmark the permalink.